Belgarde, Serbia - His Holiness Serbian Patriarch Irinej was visited by a group of Americans today, parishioners from Chicago and Lansing, who are visiting Serbia for the first time, led by their parish priest V. Rev. Dr. Milos Vesin. The meeting of this small group with Patriarch Irinej was touching as the patriarch had visited this parish a number of times during his stay in the US. 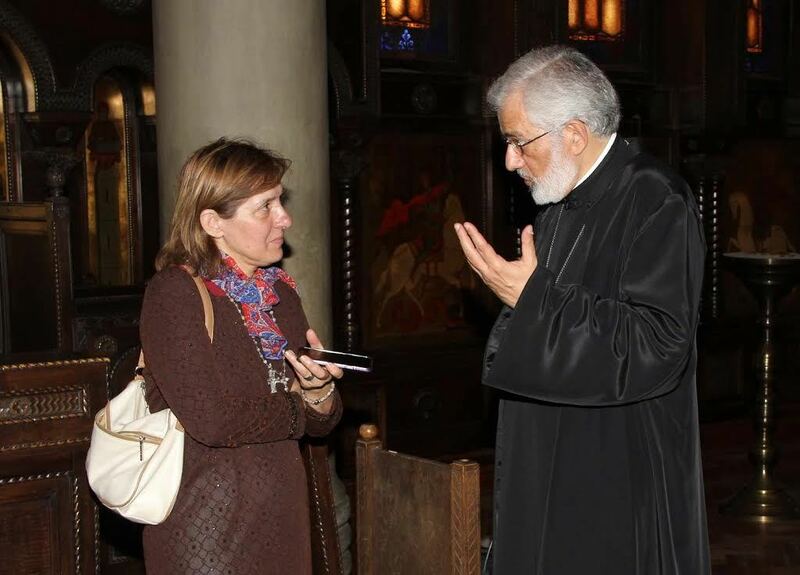 He inquired about the everyday life and health of the parishioners there whom he knows personally, as well as their church dedicated to St. Archangel Michael. The Americans, whose fathers and grandfathers were born in America, have no Serbian roots and are converts to Orthodoxy. 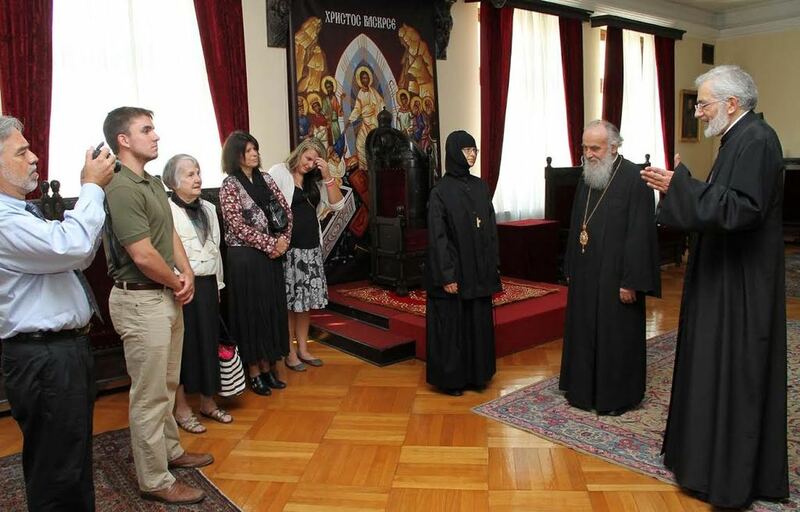 On the second day of their stay in Belgrade they visited the Museum of the Serbian Orthodox Church and the Patriarchate Chapel of St. Simeon the Myrrhflowing. During their conversation with His Holiness the pilgrims were most interested in the situation in Kosovo and Metohija, and asked the patriarch what measures the Serbian Orthodox Church is taking in protecting the remaining Serbs and Serbian holy sites there. His Holiness gave them a detailed response stating that our Church and all of us together are attempting to protect the Serbian people and holy sites on our crucified Kosovo and Metohija. 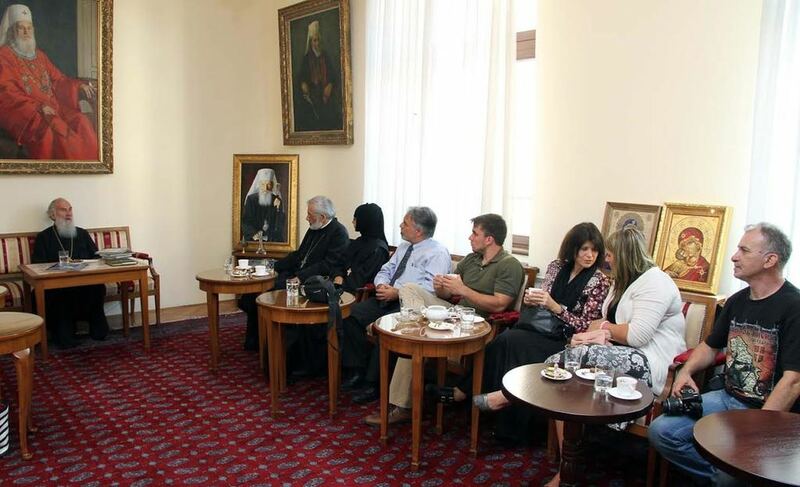 The pilgrims will attend church services during their entire stay in Serbia, they will be in monasteries where, besides prayer services, they will experience the full life of the monastic community, as a true, small Christian community. Per their decision they will help each monastery they visit. Among the pilgrims was Mother Macrina, a nun from our St. Paisius Monastery, where currently there are 19 nuns who hold strict to the prayer rule and cycle of services and have very developed publication activites. Together with novices, the sisters are constantly working in the Lord's Vineyard. 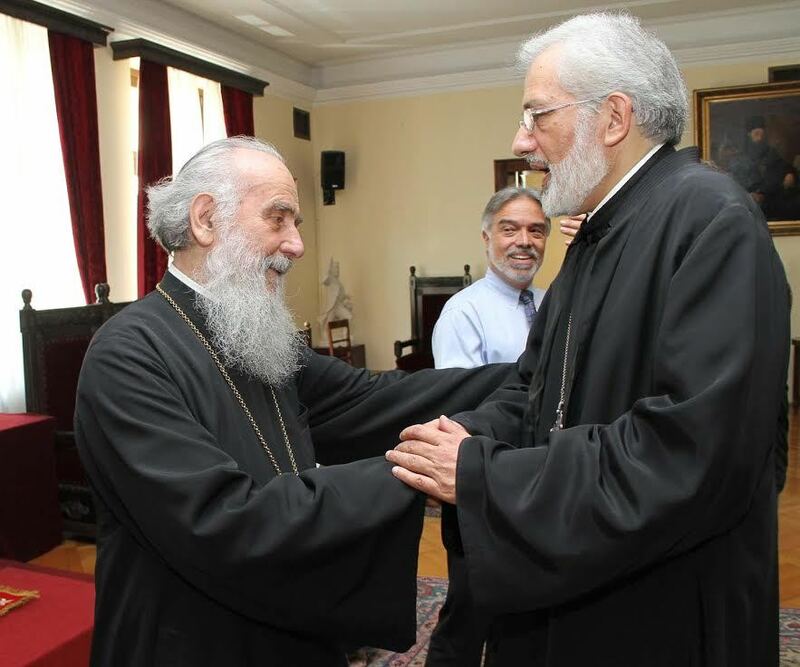 After Belgrade they will visit the monasteries of Fruska Gora, they will be at Monastery Jasak and Krusedol, as well as Monastery Kovilj until they go to Novi Sad where they will be received by Bishop Irinej of Backa. Topola and Opelenac rejoice at their coming while in Monastery Stragari they will be welcomed by the oldest abbess of our Church, Mother Mihaila. The great Serbian holy sites of Manasija, Zica, and the Serbian royal lavra Studenica are always there for all pilgrims. In Studenica they will touch the stone, walk the path walked by young Rastko, later monk Sava, our great saint - and here they will also spiritually be confirmed in all the things they learned about Orthodoxy in America, about our Church, who St. Sava was, to whom they pray and sing tropars to in America. The pilgrimage will continue to Monastery Ostrog, Monastery Zdrebaonik and finally to the new Holy Resurrection Cathedral in Podgorica. The new, small light of our faith will be carried by this group from America as well as others will after this first visit to Serbia wish to return and do many good things for her, for the faithful people here and our Church.